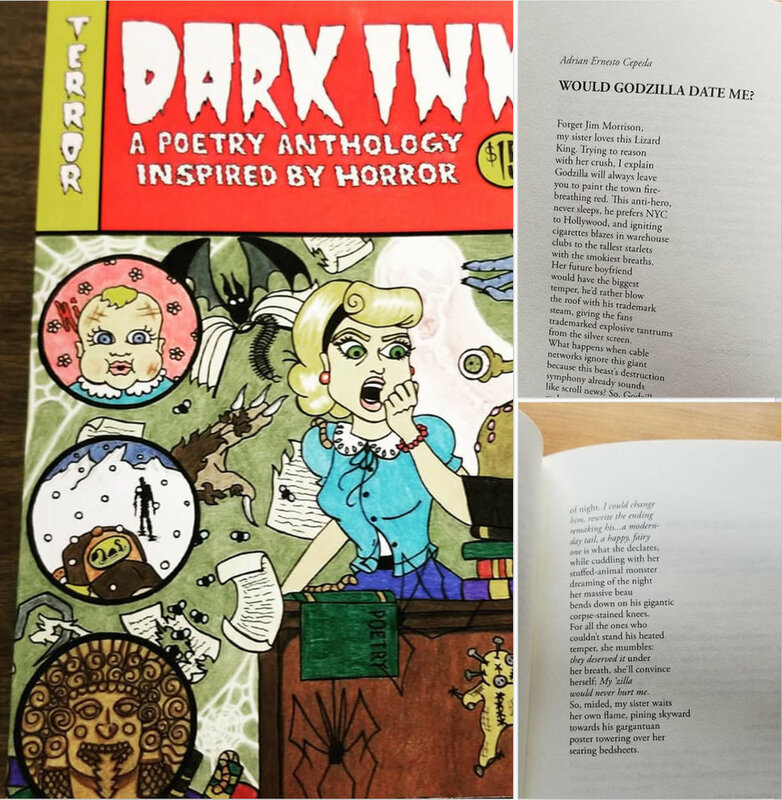 DARK INK: A POETRY ANTHOLOGY INSPIRED BY HORROR is COMING October 2018! I am so excited to be included in Moon Tide Press’s forthcoming horror-inspired anthology, Dark Ink!!! This collection is a celebration of the fun and fright for everything that goes bump in the night...we have poetic takes on Frankenstein's monster and his bride, musings on zombies, Lovecraft-ian (is that a word?) love letters, metaphorical monsters (and Munsters), vampiric verses, and much, much more. If you are a fan of poetry or horror or BOTH, this is a book for you! The official book launch is scheduled for Saturday, November 3rd at the Whittier Museum in Whittier, CA. We will have a horde of readers from the anthology share their poems and the work of others in the book. Copies will be available. Complimentary refreshments and food will be provided. It will be a good 'ole Monster Mash. SAVE THE DATE! Also, please check our Facebook page and blog frequently for updates, sneak peaks at some of the poems, future scheduled readings, and release information! We are very proud of this collection and are "dying" for you to see it! From the box set promotional event last Saturday. (L-R, Steve Ramirez, me, Andrea Ring, and Kurt Bensworth). My co-author Kristin Beckley and Peter Jessup, who has two books is in the e-book box set, were both unable to attend. Thank you, everyone, who was able to make it. Woohoo! I finished the manuscript for The Abecedarian of Lab Accidents: Killing Your Coworkers with Chemistry for final layout editing so that it can be included in the forthcoming e-book box set, Strange Impulses. Stay tuned. I will let you know when the the box set will be available for pre-order. Will be soon! 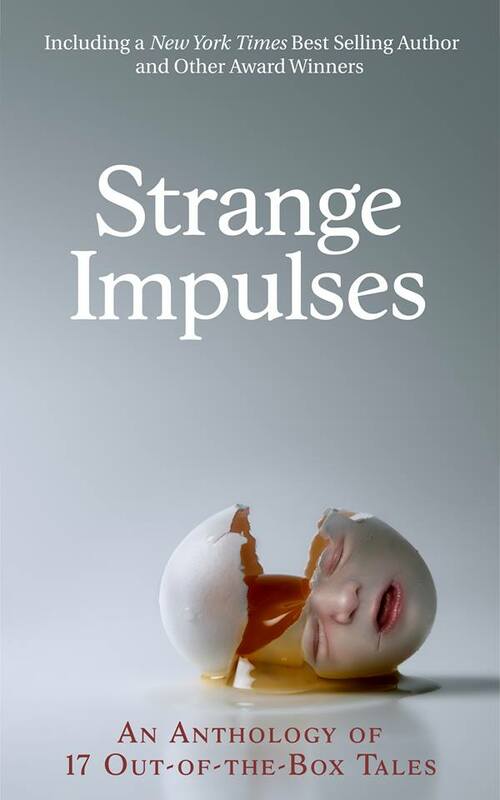 If you are in the downtown Tustin area this Saturday, please join me at the Sip & Stroll where some of the other authors in the e-book box set Strange Impulses will be available to sell their published books (because they are not slackers and have other books). The event starts at 1:00, and we will be set up at Kelly's Irish Gifts (located in the back lot next to Morning Lavender, 330 El Camino). The Sip & Stroll in downtown Tustin offers a walking taste tour of delicious food and wine, cocktails, craft beer and other beverages and live music. All ages welcome. Wine and chili will be available at our location with purchase of an armband. Save $10 with pre-sale tickets. Here is the link to learn more about the entire Sip & Stroll event and to buy tickets. 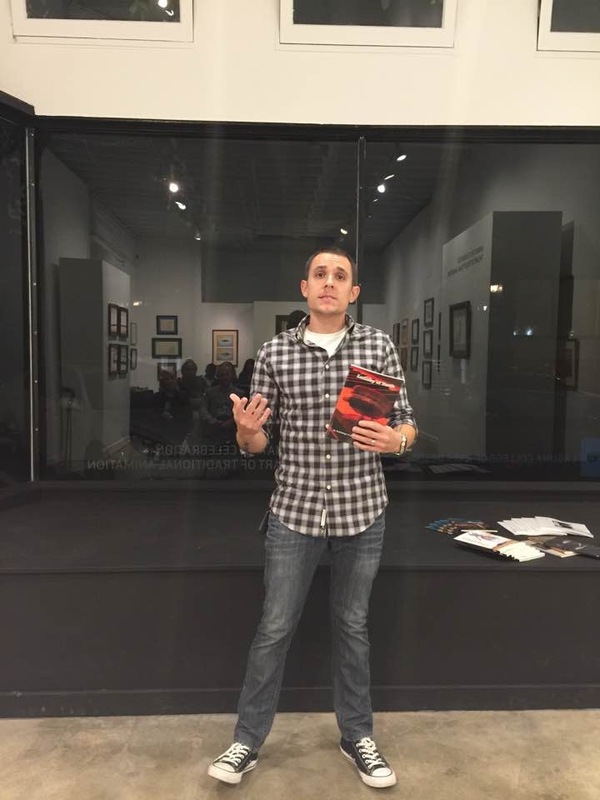 Steve Ramirez, a published author and host of the weekly reading series "Two Idiots Peddling Poetry"
My co-author Kristin won't be able to make it, nor will Peter Jessup whom Texas stole from us. Peter writes sci fi, fantasy, horror and humor. “I can’t tell you how many people said to me during those years, “How are you ever going to top that?” They’d speak of my great good fortune as though it were a curse, not a blessing, and would speculate about how terrified I must feel at the prospect of not being able to reach such phenomenal heights again. But such thinking assumes there is a “top”—and that reaching that top (and staying there) is the only motive one has to create…Such thinking assumes that you must be constantly victorious—not only against your peers, but also against an earlier version of your own poor self. Most dangerously of all, such thinking assumes that if you cannot win, then you must not continue to play. Can we ever become comfortable with our fear? The answer may be that the minute we are comfortable with our fear a new and better fear arises, or the distance to conquering that fear moves further off. But fears can be a guide as much as a hindrance. When we feel we’re on the edge of a break through, when we know we’re making something on the boundary of who we once were and who we’re going to be—that fear propels us forward, deeper, stronger, through. Join us tonight for the Poetry Lab Workshop coordinated by the fabulous Danielle Mitchell. What does it have to do with vocation? What does it have to do with the pursuit of love? What does it have to do with your strange communion? What does it have to do with magic? How much do you avoid? How much do you dive head-long into? Where does it begin again? and then we will WRITE. Take an embarrassing childhood fear, the sillier the better, and laugh at it or give that fear a hug and a cookie to make it feel better or empower that fear to be the One Fear to rule them all. I was terrified of Mary Poppins. Full disclosure: I may still be. Sam Sax at the Ugly Mug Tomorrow Night!!! The amazing Sam Sax will be featuring Wednesday, Dec. 13th. Bring $3 for cover and $ money to buy books!!! Reading Tomorrow Night at the Ugly Mug for Incandescent Mind: Selfish Work!!! Just a reminder, I get the chance to read with the amazing Jennifer Martindale and the evil (but brilliant) Steve Ramirez at tomorrow night’s feature for the anthology Incandescent Mind: Selfish Work. The reading begins 8-ish at the Ugly Mug (261 N Glassell St., Orange). Don’t forget to bring $3 in cash to give Phil, or he may harvest a body part! Incandescenct Mind: Selfish Work is published by Sadie Girl Press. I am grateful to Sarah Thursday for this opportunity and for all of the work she does for poetry community. Neil Aitken Reading This Wednesday at the Ugly Mug!!! Come hear the incredible Neil Aitken feature at the Two Idiots Peddling Poetry at the Ugly Mug on November 29th. Neil's poetry is insightful and inspiring in its weaving of history, technology, the human mind and soul. The Ugly Mug is located at 261 N Glassell St. in downtown Orange, CA. Free parking is usually available after 7:30 near the corner of E Maple and N Orange St. The reading begins at 8 (or whenever everyone stops chatting for Ben to start hosting). Bring $3 cash to avoid Phil's wrath. "Neil Aitken is the author of two books of poetry, The Lost Country of Sight (Anhinga 2008), which won the Philip Levine Prize, and Babbage’s Dream (Sundress 2017), as well as a chapbook of poetry, Leviathan (Hyacinth Girl Press 2016). He is the founding editor of Boxcar Poetry Review and his own poems have appeared or are forthcoming in The Adroit Journal, American Literary Review, The Collagist, Crab Orchard Review, Ninth Letter, Southern Poetry Review, and many other literary journals. Born in Vancouver, BC, Neil grew up in Saudi Arabia, Taiwan, and various parts of western United States and Canada. His first book explores the themes of home, exile, and return through the lens of memory and forgetting. The poems in his second book draw heavily on the history of the computer, the life of 19th-century mathematician Charles Babbage, various AIs from film and literature, the lyric nature of programming language, and his own experiences as a computer programmer. These topics also figure prominently in both the creative and critical parts of his dissertation on 19th-century literary and popular representations of artificial intelligence. 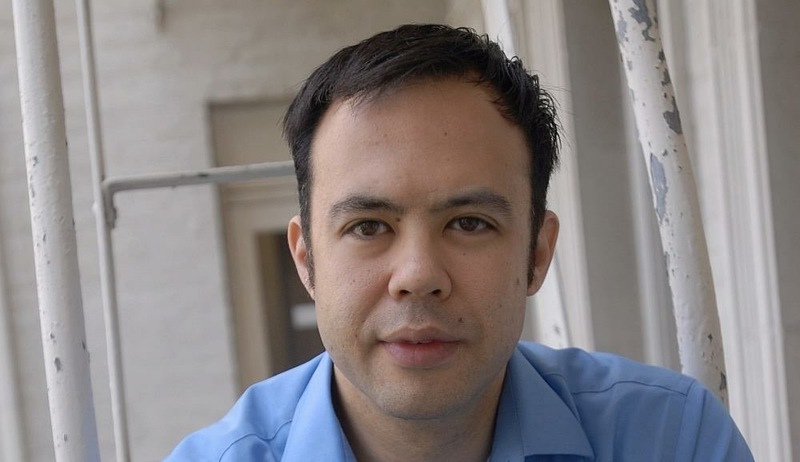 Neil holds a PhD in Literature & Creative Writing from the University of Southern California and an MFA in Creative Writing from UC Riverside, as well as a BS in Computer Science with Mathematics minor from Brigham Young University. He has collaborated with a number of talented music composers, including Juhi Bansal, Brandon Scott Rumsey, Jeffrey Parola, and Daniel Gall. As a Chinese-English translator, Neil has worked with poet-translator Ming Di to translate The Book of Cranes: Selected Poems of Zang Di (Vagabond 2015) as well as many of Ming Di’s own first selected poems, which were published as The River Merchant’s Wife. His co-translations of Jiang Hao, Jiang Li, Jiang Tao, Lü De’an, Lü Yue, Sun Wenbo, and Zang Di are also prominently featured in New Cathay: Contemporary Chinese Poetry, 1990-2012 (Tupelo 2013). He was awarded the DJS Translation Prize in 2011 and serves as a contributing editor and board member of Poetry East West." Incandescent Mind: Selfish Works Reading Next Wednesday at Ugly Mug!!! Please join Jennifer Martindale, Steve Ramirez and me December 6th as we read from Incandescent Minds: Selfish Works for Steve and Ben's Two Idiots Peddling Poetry reading at the Ugly Mug. Yay!!!! The reading begins at 8 (ish). Don't forget to pay Phil the $3 cover, or he will take an organ of his choosing with dull cutlery. The address is 261 N Glassell St., Orange. Public parking is usually available after 7:30 near the corner of E Maple and N Orange St.
"Incandescent Mind: Selfish Work is a full-color, 8.5 x 11″ journal of poetry, prose, art, and photography addressed to the self. 78 authors and artists contribute to this 90 page collection. Layout, design, and editing by Sarah Thursday with additional editing and selection by Terry Ann Wright, G. Murray Thomas, Marianne Stewart, Keayva Mitchell, and Alyssa Matuchniak." "Much like popular “selfies”, contributors turn the focus of their work on themselves. Beyond the sake of vanity, these selfies are intimate snapshots of a contributor’s personhood. They address the self of the present, past, future, alternate versions, or physical parts in letters, postcards, warnings, reminders, lists, and loving tributes. Available at the Sadie Girl Bookstore." 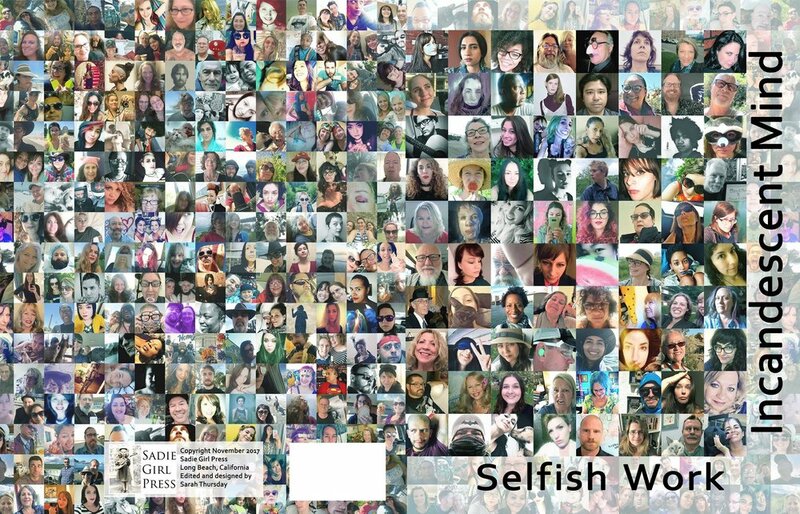 "Selfish Work includes contributions from: Alex Diffin, Alexis Rhone Fancher, Allegra Forman, Alyssa J Wynne, Amanda Martin, Amanda Mathews, Amy Bassin, Ana Jovanovska, Angela Topping, Anney Ryan, Armine Iknadossian, Ashley Elizabeth, Avalon Graves, Bailey Share Aizic, Boris Ingles, Brenda Matea, Carolyn Agee, Christine Stoddard, Cindy Rinne, Clifton Snider, D S Chapman, Daniel McGinn, Daniela Voicu, Danielle Mitchell, Don Kingfisher Campbell, Donna Hilbert, E R Zhang, Ed Baines, Edward Distor, Erika Ayon, Fernando Gallegos, G. Murray Thomas, Jenni Belotserkovsky, Jennifer Takahashi, Jettie Krantz, jill emery, Jim Coke, JL Martindale, Jonathan Yungkans, Joy Shannon, Kelsey Bryan-Zwick, Kimberly Cobian, Kimberly Esslinger, Kimmy Alan, Kit Courter, LaLa Deville, Larry Colker, LeAnne Hunt, Linda Singer, Mahssa Hosseini, Marc Cid, Marcela Marquez, Marianne Peel, Matt Rouse, Michael Cantin, Michele Vavonese, Nancy Lynee Woo, Natalie Hirt, Nicole Connolly, Odilia Galván Rodríguez, Rachel Kann, RaeAnn Crunk Yinger, Raundi Moore Kondo, Ricki Mandeville, Robin Axworthy, Sarah Thursday, Sharon Elliott, Shelby Pendergast, Stephanie Harper, Steve Ramirez, Steven Lossing, Sukyi Naing, Tamara Hattis, Taylor Xavier, Terri Niccum, Tobi Alfier, Victor Ladd, and Wynne Henry." Tonight, The Poetry Lab will have Eric Morago lead the workshop, starting at 7 p.m. For this event, the charge is $15. Tickets are available at poetry-lab.squarespace.com. Click the link to check out upcoming events! The Poetry Lab workshop meets the 1st and 3rd Thursday of the month in Long Beach (235 E Broadway, 8th Fl). Danielle Mitchell is the coordinator. The Poetry Lab specializes in generative workshops and provides special sessions with visiting authors. Critique sessions are available a few times a year. As always, the workshop discusses craft and promotes contemporary poetry. Tomorrow night, Mike Cantin, Robin Axworthy, Nancy Lynée Woo, and I will read from Lullaby of Teeth, the anthology from Moon Tide Press, at the Ugly Mug in Orange (261 N Glassell St). The reading begins 8-ish. Sign up for the open reading, and let Ben know if you are a first-time reader at the Mug. Cover is $3. Beware Phil, the proprietor. You must pay him before you can pass. Hope you can make it! I would love to hear you read! It was a wonderful evening of poetry. Kate Buckley and Sarah Maclay were of course fabulous. Carrie Pohlhammer provided a touching tribute to John Gardiner and read one of his beautiful poems. I was so excited to be part of the anthology with Armine Iknadossian, Mike Gravagno and Robin Axworthy. Thank you, Eric Morago, for all of your work on the anthology and for allowing me to be a part of it. This Thursday Robin Axworthy, Boris Ingles, Mike Gravagno, Armine Iknadossian and I will be reading from the Lullaby of Teeth anthology by Moon Tide Press. The reading starts 7 pm at the Laguna College of Art and Design Laguna (374 Ocean Avenue, downtown Laguna Beach). I hope to see you! Please join me at Kate Buckley’s Poet Laureate reading in Laguna Beach where I will be part of the feature for Moon Tide Press’s newest anthology A Lullaby of Teeth. I am so excited to be included in this anthology and in the reading’s feature with Robin Axworthy, Boris Ingles, Mike Gravagno and Armine Iknadossian. 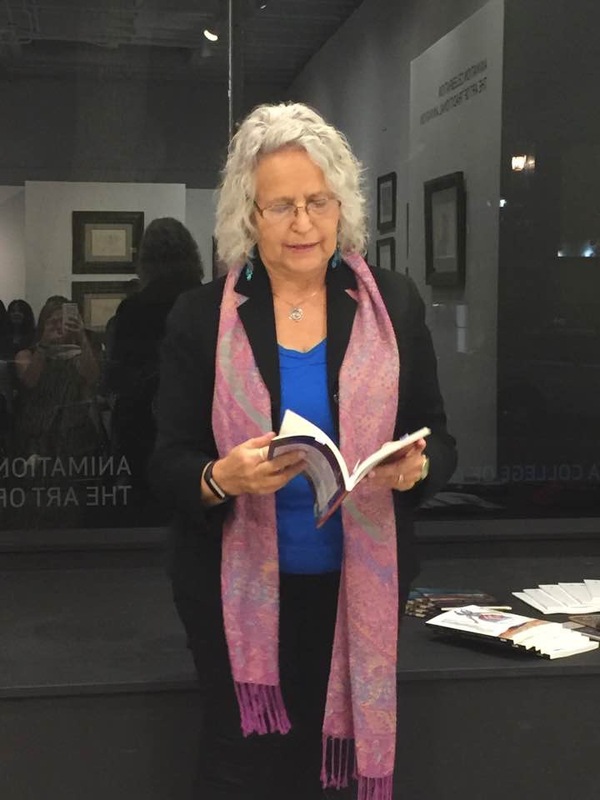 Kate Buckley, Laguna Beach’s inaugural poet laureate, has launched a Poet Laureate’s Showcase series of readings, aimed at bringing nationally known poets to Laguna Beach. Literary luminaries featured to-date include Noah Blaustein, Grant Hier, Christopher Merrill, Kathryn Nuernberger, and Tom Zoellner. 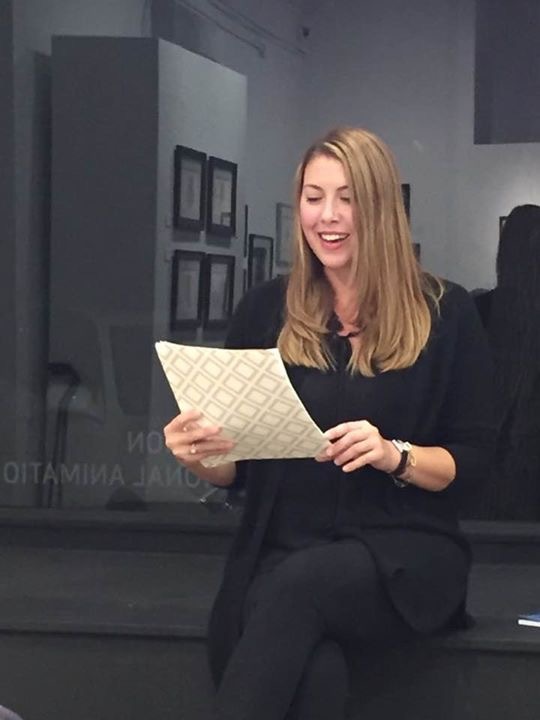 The next Poet Laureate’s Showcase reading will be held Thursday, November 9th from 7:00pm - 9:00pm at the Laguna College of Art + Design Gallery at 374 Ocean Avenue in downtown Laguna Beach. 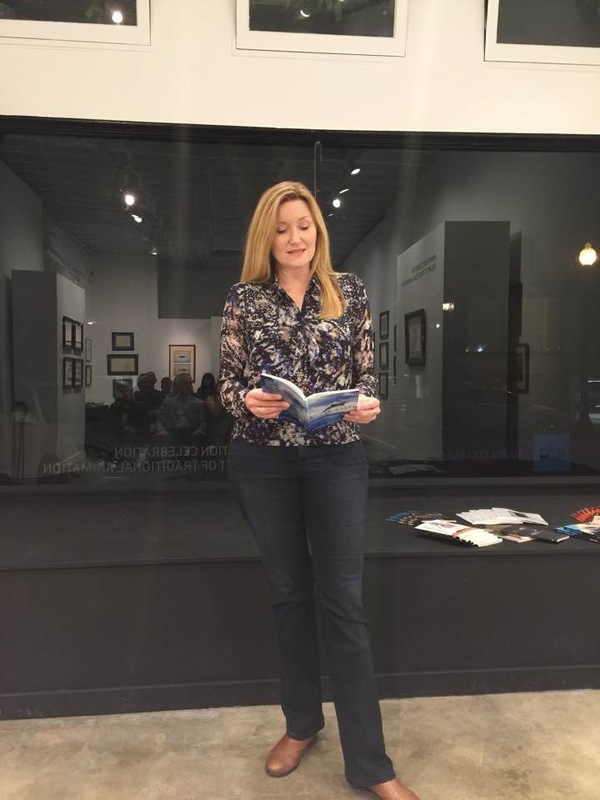 The literary showcase will feature the launch of the latest poetry anthology from area publisher Moon Tide Press, along with award-winning poets Sarah Maclay and Kate Buckley. In honor of the late John Gardiner, the evening will begin with John’s dear friend Carrie Pohlhammer reading one of his poems in celebration of his life. The evening will conclude with a conversation with the poets and refreshments. This series is free and open to the public and graciously hosted by the Laguna College of Art + Design. The Poet Laureate program is funded by the lodging establishments and City of Laguna Beach. 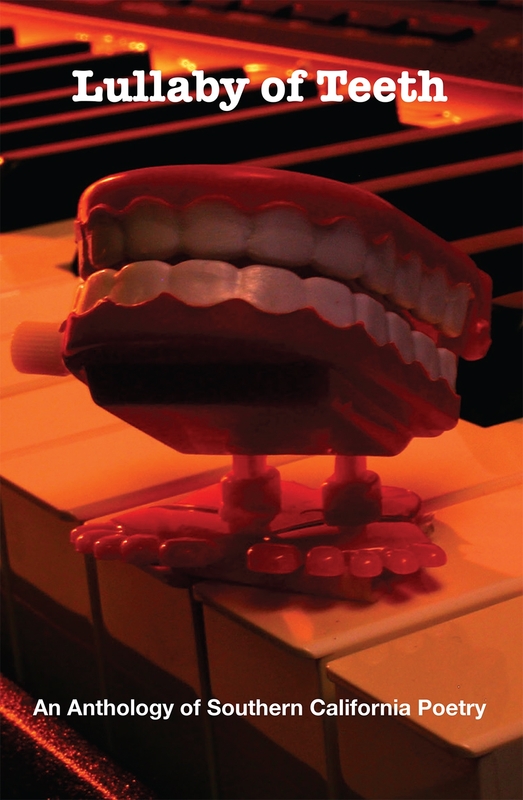 Lullaby of Teeth: An Anthology of Southern California Poetry is the latest publication from Moon Tide Press, a Orange County based independent poetry press founded by Michael Miller, now run by long time SoCal poet, Eric Morago. In this anthology, Eric spotlights both exciting established and newer voices alike in attempt to bring poetry to as diverse an audience as possible.